Todd Lockwood's art has appeared on New York Times-bestselling novels, industry magazines, and fantasy/science fiction games, such as Dungeons and Dragons and Magic: The Gathering. He has won more than 15 Chesley Awards, including the Lifetime Achievement Award, and two World Fantasy Art Show Awards. He currently lives in Washington with his wife and three children. 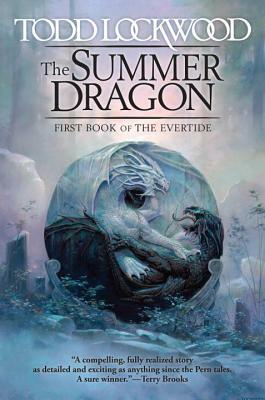 The Summer Dragon is his debut novel. He can be found at toddlockwood.com.